The best way to make something look unique is to perform some basic customization. Many things can be customized based on the result that is desired. One idea is to replace the foam grips on a bike with a set of leather grips. This is something that can easily be done in a few hours. All you need to produce a set of DIY leather bicycle grips is the proper tools and materials. 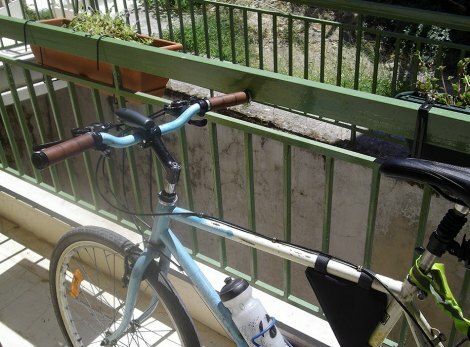 There are many reasons to replace the stock grips on a bicycle with DIY leather bicycle grips. You may find the existing grips are just plain old or may look bad. Adding leather grips is a great way for you to change the look of your bicycle. One important detail to keep in mind is materials that are needed. The materials to make DIY leather bicycle grips are easy to obtain if you do not have them already. The stock grips on your bicycle may not be suitable for this project. DIY leather bicycle grips are thick and will require grips that are a suitable size. The best option is a set of lock-on grips that are from a used bike or ordered new online. Getting the grips from a used bike will be a much cheaper option to make a custom set of DIY leather bicycle grips. When you are ready to begin this project, then a few things need to be known. The first is the old grips will need to be stripped of their foam covering. You will then need to measure the amount of leather to use for your new grips. The leather can come from an old leather belt that has seen better days. Fishing line is also be needed as you will use it to attach the pieces of your DIY leather bicycle grips.